These are a favorite at any gathering. 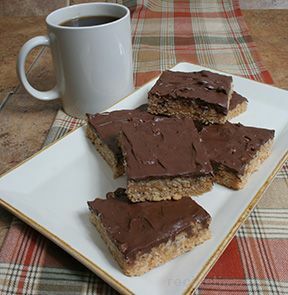 And these have a little bit extra chocolate in them with the cocoa krispies. You'll never have leftovers when you bring these. Heat the sugar and syrup in a saucepan on the stovetop until the sugar is dissolved into the syrup. Add the 2 cups of peanut butter to the mixture; stir until combined. Pour over the Cocoa Krispies and Rice Krispies. 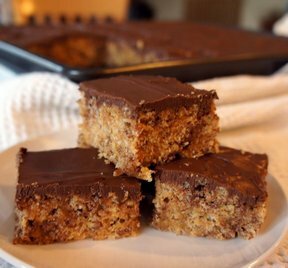 Spread the mixture in a 12x17-inch bar pan. 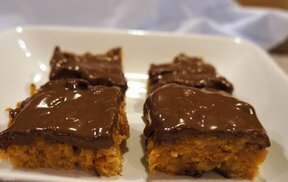 Melt the chocolate and butterscotch chips in a bowl in the microwave; then spread the mixture over the bars. "Perfect ratio of everything. I didn't have any leftover after bringing to a tournament. 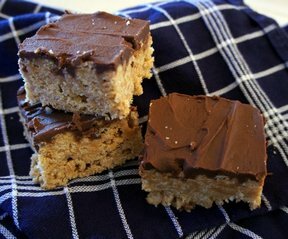 The mixture of chocolate and rice krispies was a big hit."